Andy Grove, who was Intel's CEO and chairman in the 1990s and early 2000s, has died at age 79. Legendary Intel executive Andy Grove, who transformed the company into a chip-making powerhouse and helped drive the personal computer boom, has died. He was 79. Although Grove wasn't technically a founding member of Intel (Gordon Moore and Robert Noyce were the company's two co-founders), he was present at the company's incorporation in 1968. He went on to become Intel's president in 1979, CEO in 1987 and chairman from 1997 to 2005. Grove was central to the company's decision to shift its focus from memory to processor chips. Under Grove's leadership, the famous "Intel Inside" slogan was born, becoming a staple of personal computing during the PC boom of the 1990s. Intel's sales grew 13-fold during his tenure as CEO, from nearly $2 billion to $26 billion. During his time at Intel (INTC), Grove became a legendary figure in the technology world. Though not quite a household name like Bill Gates or Steve Jobs, Grove has a big claim on making PCs ubiquitous. Grove became a bestselling author, an advocate for social justice and raised funds for charitable foundations that aimed to cure diseases. He was in poor health for much of his life. Grove suffered from Parkinson's disease, and he was diagnosed with prostate cancer in 1996. He opted to allow doctors to give him an experimental cancer treatment, which helped to put him into remission. 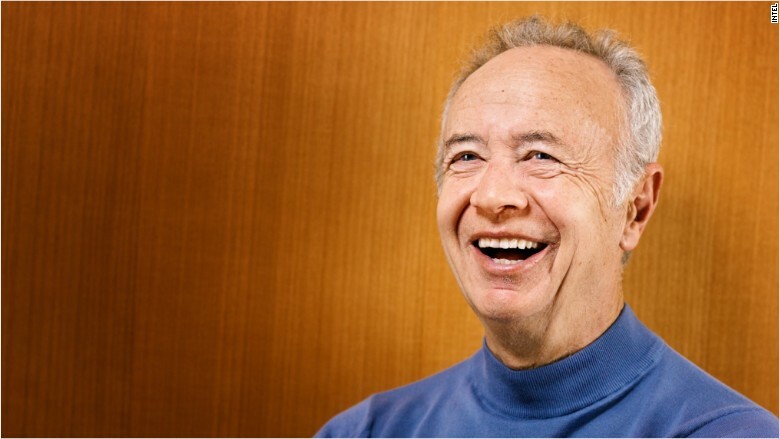 "We are deeply saddened by the passing of former Intel Chairman and CEO Andy Grove," said Intel CEO Brian Krzanich in a statement. "Andy made the impossible happen, time and again, and inspired generations of technologists, entrepreneurs, and business leaders." Grove was born András Gróf in Budapest, Hungary. Fleeing Soviet oppression, he immigrated to the United States in 1956 and received his doctorate in engineering from the University of California at Berkeley in 1963. Moore, who was working at Fairchild Semiconductor at the time, hired Grove as a researcher. When Moore left to found Intel, he immediately hired Grove.